However, you’ve missed one important asset that you would greatly need to help you shine on the big day – your smile. Flashing the perfect smile on prom day is a must! Aside from increasing your chances of winning prom king/queen, it would make you look more beautiful and radiant especially in your photos. On the road to getting that perfect smile, it is highly advisable for parents to take their teens to visit Cosmetic and Dental Implant Center first to choose among the best and safest options available. Bright and pearly white teeth can instantly make you look radiant and healthy. A lot of options for teeth whitening are now abundant in the market. Whitening toothpastes and over-the-counter whitening strips may seem to do the trick at first but over time, it won’t really give you healthier teeth. Be cautious because they usually have abrasive substances that may cause the tooth’s enamel to wear away. To achieve those healthy white teeth, the best course would be to avail of professional teeth whitening services. It’s fast, effective and safe. The dentists at the CDIC know what they are doing, so it’s best to leave your oral health to their hands. Do you recoil from taking selfies because of your stained and chipped teeth? Or are you conscious of your teeth gaps? If you’re hiding your smile because of these flaws, why not consider getting veneers? Veneers are the perfect fix to get that red carpet worthy smile. They can either be made of composite resin or porcelain. They are bonded to the front of the teeth to cover its front surface. Aside from improving the tooth esthetically, it also helps in protecting the tooth from damage. If you want to have straight teeth for prom but shrink back from having your pictures taken with those chunky metal braces, Invisalign is your best option. Invisalign gently repositions and straightens your teeth using custom-made acrylic aligners minus the mouth sores acquainted with metal braces. Aside from that, these aligners are made of a transparent material so you won’t feel conscious while wearing them because they’re not noticeable. What’s more, it’s removable, so you can easily remove them without affecting your dental treatment. If you have ample time to prepare for prom, why not try Six Month Smiles? This is a revolutionary dental cosmetic fix which allows you to achieve those straight and perfect teeth in just a matter of months. This is best availed at around nine to six months before the prom so that you’re sure to achieve those perfect teeth in time for the big day. It uses safe, unique and clear braces to move your teeth quickly and safely. With this latest technology in dentistry, straightening your teeth to achieve that perfect smile has never been so subtle! While these dental procedures promise the fastest and most efficient results, it is still important to stick to the basics of dental care before and after undergoing through any of these procedures. Remember, your oral health is a day-to-day business. So brush your teeth, be faithful to your twice a year cleaning, eat healthy food, go through these dental procedures and enjoy your prom with a beautiful smile. This entry was posted in Dental on May 1, 2015 by Francis Nguyen. You may have noticed something always hanging at the back of your throat. This is called the uvula. The word comes from the latin word “ūvula” which literally means “little grape”. But what exactly is this body part and how does it contribute to our overall health and functions? Secretion and control of saliva. It has been found that people with no uvula find it hard to produce saliva and often suffer from dry mouth. Speech and articulation. The uvula helps in the proper pronunciation of certain sounds and phonemes, especially when sounds are produced at the back of the mouth like the letters “K” and “G”. Protection of air passageways. When you eat and swallow, the uvula covers the air passageways so that food and liquids don’t get into the wrong pathway. Gag reflex. Stimulation of the uvula promotes gagging, which is often seen when you poke the back of your mouth with your finger. Why is the Uvula Significant in Dentistry? In dental practice, the uvula is part of the oral and maxillofacial body systems. When you undergo a dental checkup, your uvula is one of the parts of the mouth that will be observed. Our dentists are trained to recognize and diagnose problems in the uvula such as inflammation, enlargement, and malformation. If anomalies are seen in your uvula, we will perform further testing to see what the problem is and how it can be fixed. Mandibular appliances. These come in splint or mouthguard forms. They are made to move the jaw slightly during sleep to allow better air passage and keep the throat in a position that opens up the passageways. Palatal implants. Small plastic rods are surgically implanted in the soft palate to strengthen the muscle and prevent it from coming in contact with the uvula and other organs at the back of the mouth. Uvulopalatopharyngoplasty (UPPP). This is a surgical procedure that involves the removal of the uvula or a part of it. Uvulopalatopharyngoplasty is considered as the last choice for patients who suffer from obstructive sleep apnea due to the enlargement or elongation of the uvula. UPPP has a success rate of around 50% and in some cases, UPPP can worsen sleep apnea because of postoperative scarring. Our dental team will be able to guide you in deciding what treatment to get for your sleep apnea or snoring problems. Just visit CDIC Dental Clinic for more details about these conditions. This entry was posted in Dental on April 14, 2015 by Francis Nguyen. What Dental Inventions Were Created by Women? Dentistry, more so than most medical professions, tends to be a male-dominated industry. As such, the pioneers of dental technology have also been male, at least for the most part. There are however, a few notable female inventors who added to the variety of techniques and technologies practiced in dentistry, both past and present. Here are just a few of these extraordinary women. The earliest known female inventor of dental technology was Sister Tabitha Babbitt. She was a Shaker-Sister known primarily for her other inventions like the circular saw. However, some claim Babbitt as the pioneer of a new technique for creating false teeth. Unfortunately, because of the Shakers’ aversion to filing patents, little documentation remains to explain exactly how these false teeth were unique. Babbitt’s example however, still remains. Her efforts to improve health care techniques and technology shows women inventors made pivotal contributions to the field. Unlike Tabitha Babbitt, Mary Ann Boughton did patent her creation, which scientists described as a way to better form air chambers in dental plates. Boughton found a problem in the way dentists of her time created air chambers to ensure the proper fit of artificial teeth. She specifically thought using plaster of paris to judge and measure the location of the air chamber was not only time consuming, but also inaccurate. Boughton’s solution was both simple and inexpensive. In 1871, she patented the idea of using a piece of wax to measure the contours of the mouth at the precise location necessary for the air chambers. The rise of modern technological solutions to make artificial teeth more bearable rendered Boughton’s idea moot. However, her invention was an intuitive way to improve the situation of dentistry for her time. As a 19th century dental practitioner, Elizabeth Morey practiced dentistry alongside her husband both as an assistant and as a doctor. Morey created what she called a “skeleton tooth,” and what practitioners today call a dental cap or crown. Instead of pulling out or otherwise modifying teeth of uneven lengths, Morey would create a hollow artificial tooth to fit over the damaged tooth. Although this idea may seem intuitive, it was incredibly progressive for her time. Morey wanted to save teeth instead of destroy them as opposed to pulling out or crushing teeth with brute force to solve other problems. So she used other means whenever possible to avoid tooth extractions, a philosophy adopted by many modern dentists of today. Marion Donovan is an inventor known for improving many everyday household items, like the unfailingly useful disposable diaper. Listed among her inventions is DentaLoop. Like the name suggests, this floss is manufactured and sold in loops. The two-ply dental floss is like any other, but the loop shape means users no longer need to wrap the floss around their finger to use. Though it seems a minor thing, this invention proves especially useful for dental patients who have dexterity problems. The Cosmetic and Dental Implant Center is proud to honor these lesser known female inventors of dental history during Women’s History Month. This entry was posted in Dental on April 7, 2015 by Francis Nguyen. Did you know that that the mouth can carry anywhere between 500 to 650 different species of bacteria?! And researchers estimate that the average mouth carries about 20 billion microbes. They can be found on the tongue, teeth, gum and cheeks, and some of these bacteria are known to double their numbers every 20 minutes with the mouth acting like a petri dish! With the 100 billion microbes in saliva, we actually end up swallowing 100 billion microbes every 24 hours. Yikes! Now, not all these bacteria are bad. In fact, some of them are actually necessary to do the job of breaking down food. Many dentists and dental specialists have known for years about a connection and have been trying to convince patients. Science is finally starting to reach those without medical training. While the exact causal nature of the relationship between oral infection and other medical conditions still is being investigated, these relationships can’t be ignored any longer. Patients, doctors and dentists need to work together for a total approach to treatment and care. With the mouth being the main avenue for things to go into and out your body and the fact of the bacteria in our mouths, it’s not stretching too far to assume that some of the infectious activity in our mouths can affect other systems. It’s also accepted that if one bodily system is not working properly, it can affect every other systems in the body. With a chronic disease like diabetes for example, oral inflammation appears to compromise the body’s ability to control blood sugar. High blood sugar conditions are prime breeding ground for bacteria. Researchers are trying to figure out the connection between oral health and heart disease but are certain a connection exists. According to WebMD, “up to 91 percent of patients with heart disease have periodontitis compared to 66 percent of people with no heart disease.” Gum disease and heart disease also share similar risk factors such as smoking, unhealthy diet and being overweight. More recent studies have found dental bacteria in the plaque that clogs up arteries (the plaque that clogs arteries is different from the plaque in your mouth). Researchers believe that the bacteria travel through the bloodstream and settles in other areas of the body. Pregnant moms (as are women in general) are at increased risk of developing gum disease issues because of fluctuating hormones. They affect the production of saliva, which is the body’s natural defence against bacterial growth in the mouth. Pregnant moms who experience gum disease and decide not to seek treatment or do at-home oral cleanings differently are at a seven times higher risk for pre-eclampsia, which can lead to premature delivery and underweight babies. Gum disease actually triggers the release of the fluids that induce labor. One study found that 50 percent of the placentas tested from women who had experienced pre-eclampsia during pregnancy tested positive for at least one type of bacteria normally found in the mouth. This is probably one of the more obvious possible connections, though research is continuing to determine exactly how one affects the other. Osteoporosis happens when the bones in the body start to become porous, which means the jawbone can be affected as well. It is a well-known dental fact that poor bone quality can lead to tooth loss. Periodontal disease, if left untreated, can spread to the underlying bone. It’s unclear yet whether periodontal disease contributes to the overall extent of osteoporosis in the jaw, or if inflammation in the mouth could trigger similar porotic bone issues in other parts of the body. While researchers continue their investigations, it’s important for us not to take our oral health for granted and to learn to take care of it to prevent these sorts of relationships from developing in our bodies. This is where CDIC can help. CDIC can provide an overall evaluation of any oral conditions and treatment solutions to eliminate them or reduce their effect on the rest of your body and life. This entry was posted in Dental on January 26, 2015 by Francis Nguyen. As we embark on a new year, let’s make 2015 the year that we vow to take better care of our teeth — and actually follow through on it. Unlike most resolutions we might make, taking better care of our mouth is not that difficult. It just requires a few really simple changes and relatively inexpensive “tools”. This is usually a no-brainer when it comes to losing weight and being healthier overall, but there’s more to water than promoting digestive regularity and hydration. Water is also one of the easiest ways of keeping bacteria from forming on your teeth because it rinses food particles, and thus any bacteria lingering in your mouth away. It doesn’t replace the need to brush or floss, but it is part of an overall, thorough mouth-cleaning regimen. I’m sure we’re all tired of hearing our hygienist tell us how important it is to floss. The problem is, if our dentist and hygienist keep telling us to do it, why do we tell ourselves, “Oh, it’s not that important, I can get away without it.” By the way, it’s no secret to your dentist or hygienist that you haven’t been flossing. They can tell. Truth is, if you’re brushing only, you’re only getting your mouth 60 to 75 percent clean. The rest of the food particles and cavity-causing bacteria are in between teeth and potentially beneath the gumline where toothbrushes can’t reach and only dental floss can go. Most spools of dental floss can be purchased for less than $3 — a really small investment that can make a lifetime of difference. Our teeth are really strong. The enamel is actually stronger than bone, but that doesn’t mean our teeth are indestructible. Your teeth and mouth structures were designed for chewing food only, not crunching on ice cubes, fruit pits, popcorn kernels, pencils, pens, finger nails or anything else you might put in your mouth. Your teeth and mouth were also not designed to be used to open packages, parcels and plastic clothing tag ties. All these things can not only damage our teeth, but they can also do irreparable damage to your jaw joints, muscles and tendons. If you don’t remember the last time you changed your toothbrush, it’s probably time. The general rule of thumb is at least every three to four months. Some toothbrushes even indicate when it’s time to buy a new one. If the bristles on your toothbrush start to “splay” — that is, they start spreading apart and don’t look like they did when you bought it, it’s time for a new one even if you haven’t used it for three months yet. It may also be a sign that you’re brushing too hard. Also, it’s a good idea to change your toothbrush after an illness. You can leave behind cold, flu and other germs on your toothbrush and you certainly don’t want to be putting that back in your mouth. What you’re looking for is fleshy fruit such as apples, strawberries and pears. These three in particular are natural toothbrushes, and strawberries have teeth whitening properties. Crunchy vegetables such as celery and carrots help clean teeth and stimulate gums. Broccoli and brussel sprouts have good doses of calcium and iron. Both these nutrients are crucial for healthy teeth and bones. You can follow up these veggies with some fruit. The vitamin C in the fruit helps your body absorb the iron, but stay away from citrus fruit since the acid can actually harm your enamel. Five easy healthy oral habits to get you started on the year you finally take control of your oral health. Of course, these habits won’t do it on their own. You will also need to visit Choice Dental and Implant Center for regular check ups and instructions on proper flossing and brushing techniques, and any other questions or concerns you might have. This entry was posted in Dental on January 13, 2015 by Francis Nguyen. As we just entered the New Year, it’s time to set our sights on new achievements, accomplishment or improvements. There’s something in everyone’s life that can be improved–most likely, more than one something. For some, it’s losing weight, eating healthier or taking the stairs instead of the elevator. 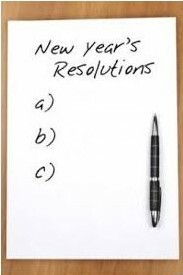 How about some dental health resolutions this year? Many of us overlook the importance of oral health and how it can impact how people see us and how we see ourselves. Taking better care of your mouth is really not that hard and the results can be life changing. Flossing is one of those things that everyone knows we should do, but we still think our mouth is just fine without it. In fact, statistics show that only 12% of people in developed countries floss every day. Flossing is essential to preventing cavities from forming in hard-to-reach and hard-to-treat areas between teeth, as well as preventing gum disease. “Flossing does about 40% of the work required to remove sticky bacteria, or plaque, from your teeth.” (WebMD) This means that if you’re brushing only, your teeth are only 60% clean. When you have a shower, do you clean only 60% of your body? Your teeth deserve the same thorough cleaning. Many people make the mistake of thinking that they don’t really need to see a dentist until there’s something wrong. Kinda like not seeing a doctor for annual physicals because if you don’t feel there’s anything wrong, there’s nothing to worry about. Any dentist will tell you that most dental problems are present when there aren’t any symptoms. By the time symptoms appear, the situation is pretty far advanced and will likely require more invasive, extensive and expensive dental treatment, than if it had been prevented with regular cleanings and check-ups, or caught and treated earlier. It’s only twice a year, and it will be worth it in the long run. Like flossing, many people don’t realize how important this simple thing is to maintaining your overall oral health. One of the principal causes of bad breath is bacteria in the mouth and that bacteria is not only on your teeth, but also on your tongue. Bacteria feeds on plaque and plaque can develop on your tongue just as well as your teeth. Our tongues are covered in hundreds of tiny, moist ridges which are prime breeding grounds for bacteria. Drinking water is not only critical for keeping you hydrated, but also for rinsing food particles and bacteria away from the surface of your teeth. Drinking water is particularly important after you’ve eaten something sweet, starchy or sticky and there’s no toothbrush around. Actually, it’s better to rinse with water immediately after eating or drinking something sweet, starchy, or sticky because brushing right away can actually further damage your enamel. So, rinse with water first, wait 20 to 30 minutes, and then brush. Most of us know that fruits and vegetables are necessary for a healthy diet. What most of us don’t know is that fruits and veggies are also necessary for dental health. Chewing fleshy apples, watermelons, and pears increase salivation and in the case of apples, act as a natural toothbrush. Carrots, celery and root vegetables and other firm veggies stimulate the gum while the water content also helps clean teeth. Leafy greens are loaded with vitamins and minerals that your body needs to keep your teeth, bones, and gums healthy. See? That wasn’t so hard, was it? 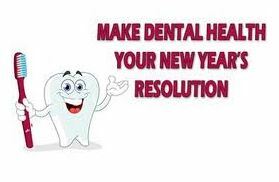 Such simple resolutions that can make a world of difference in your oral health in 2015. It’s safe to say that most of us have grown up hearing, “Brush your teeth twice a day and floss every day.” Or, “Visit your dentist twice a year for regular cleanings and checkups.” But so many people don’t realize there’s more to keep your mouth winter fresh than these two things. These six simple tips can help your mouth feeling winter fresh all year round. Never underestimate the power of a simple glass of water. Not only can it help you flush toxins out of your body, helping you feel healthier all over, but water also works with the body’s saliva to fight cavities and to flush food particles and bacteria away. that causes bad breath. Less bacteria, better breath. You can even try a baking soda based toothpaste! to water down the 3% with an equal part of water to bring it closer to 1%. Hydrogen peroxide helps kills bacteria and viruses in your mouth, just like it used to do when your mom put it on your skinned knees. It takes time for the peroxide to work, so rinse for at least a minute or longer to get the full effect. Be prepared for the peroxide to bubble and feel fizzy when it’s working. Food particles, plaque and bacteria don’t just gather and grow on your teeth and gums, but also on your tongue. Brush your tongue from back to front with or without toothpaste or mouthwash. Actually, brushing your tongue before using a mouthwash can make your mouthwash more effective. Make sure you brush the top and underside as well for at least a minute. properties. It was thought that disinfecting would also protect against bad breath. More recent studies have found that not to be the case and that bacteria thrive in dry mouth situations leading to an increased risk of tooth decay. 6. Snack on raw vegetables and fleshy fruit — carrots, celery, red peppers, apples, and strawberries are all great for fighting bacteria and bad breath. Not only do they stimulate production of saliva, but they also gently clean your teeth. This entry was posted in Dental on December 20, 2014 by Francis Nguyen. If you’ve been looking for professional and affordable total mouth care, you need to visit Cosmetic and Dental Implant Center (CDIC). The skilled dental professionals at CDIC can give you a smile for the future. Our team of qualified dentists complete hundreds of hours of continuous education each year to stay abreast of the latest advancements in dental treatment methods and technology. With many years of experience behind them, our dentists are committed to helping you achieve a healthy and beautiful smile through efficient office systems, leading-edge dentistry and friendly personalized care. At CDIC, we have high-tech facilities, and our cleanliness and safety levels exceed the American Dental Association’s and Occupational Safety and Health Administration’s recommended standards for cleanliness and safety. Our treatment rooms are sanitized between patients, and we have a dedicated sterilization area where every instrument is disinfected in readiness for your visit. Dentistry is a complex area of health care. Before we offer our services to you, we empower you with the information to make a sound decision. You will not be alone in making the decision. Our experts will guide you to ensure you get the best treatment or alternative. Whatever dental problem you may have, know that we can fix it. We offer preventive dentistry including cleanings and examinations, protective dental sealants, fluoride treatments, oral cancer screening and many more. We also offer restoration dentistry so we can make your smile look great again. We do tooth-colored fillings and functional crown lengthening, as well as extractions, oral surgery, and wisdom teeth removal. Our other services include implant dentistry, cosmetic dentistry, sedation dentistry and periodontal treatment. An implant-supported bridge, denture, or crown can help you enjoy your favorite meals again. Dental implants look and function like natural teeth. They help prevent further bone loss and preserve the shape of your lips, jaw and face. Bone grafting may be necessary for some patients before implants can be placed, while soft tissue grafting may be necessary to provide the best cosmetic results with the new crown, bridge or denture. We know you take the appearance of your smile seriously. That’s why our cosmetic dentistry services can provide healthy-looking smiles for the whole family. Let our experts fix for you those gaps, chips or imperfections so that you will no longer have to cover you mouth when you smile. We offer professional teeth whitening, Invisalign aligner therapy, veneers and lumineers, and cosmetic crown lengthening. We understand how painful and scary it is when you have a problem with your teeth. We offer relaxing sedation options to ease your pain and anxiety. We want to make your visit as pleasant and stress free as possible. If you are nervous about your appointment or you’ve had a bad experience with a dentist in the past, feel free to ask us if sedation dentistry is right for you. Our options include IV sedation, oral conscious sedation and general anesthesia. Our experts will assess your condition, past medical history and decide the one that will give you the best comfort. Healthy Smiles need Healthy Gums! If you have a problem with your gums, we offer periodontal health services that will take care of all the structures around your teeth, from the gum line down to your jaw bone. We diagnose and treat various stages of gum disease with local antibiotic treatment, gum surgery, deep cleanings and laser gum surgery. We are located in Orange County, Calif., with offices in Brea, Huntington Beach and Placentia. Our hours are convenient and can fit your busy schedule. We offer flexible and accommodating payment options to relieve you from the financial stress so that you can just concentrate on the treatment you need. What’s more, we are networked with many insurance plans so when you visit please bring your insurance information with you. Even if we are not currently networked with your plan, we will help you maximize your benefits. And, if you are currently uninsured or underinsured, our membership plan will be perfect for you. Our savings plan is an affordable alternative to dental insurance. It gives members access to a discounted fee schedule and a discount off all comprehensive dental services. Whichever CDIC office you visit, we will take care of you and your smile. Call us today or send us an e-mail to schedule your convenient appointment. This entry was posted in Cosmetic, Dental, Implant on December 10, 2014 by Francis Nguyen.